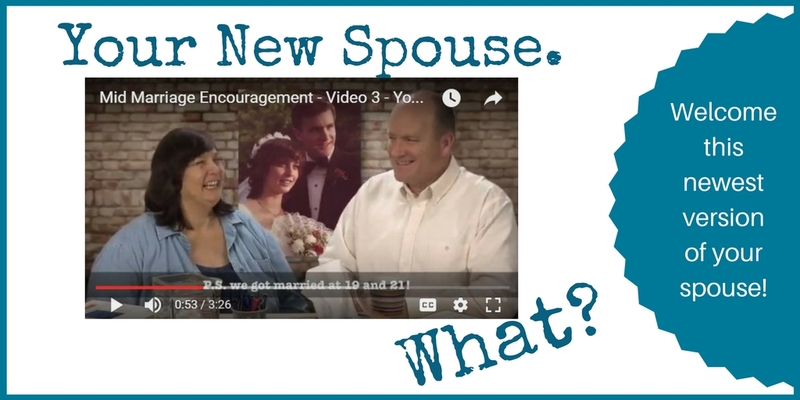 Your new spouse? What? Isn’t that the same guy – the same gal – that’s been by your side for a decade… or more? Sure it is. And isn’t. 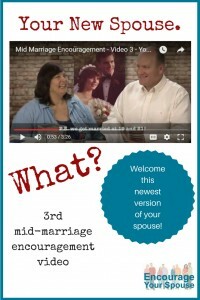 Take a look what we mean in our 3rd Mid-Marriage Encouragement Video! 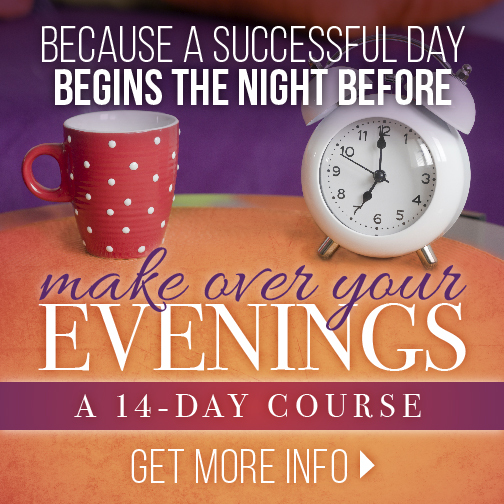 Get excited about this newest version of your spouse. Find the positives. They’re there. 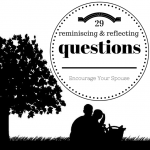 Looking backward, and moaning about what has changed isn’t going to help your relationship. Sure. There may be areas in which you need to re-ignite, but even that new re-ignition will look different. You know much more about each other today than you did at the beginning of your relationship, don’t you? But perhaps you don’t talk as much as you’d like… If your conversational skills need to be re-ignited, try out some of these conversation starters to reminisce and reflect. Reminiscing is a fun way to start a conversation. Reflecting is a useful way to decide what needs to stay the same, and what needs to change. 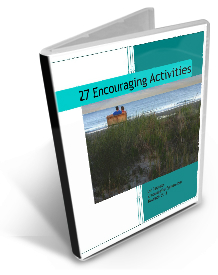 Robert and I wrote this resource in 2015 after we completed our yearly exercise of doing “plates” with our adult children. 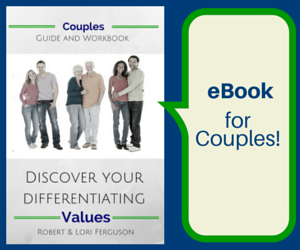 What other ways have you and your spouse grown… changed… for the better? 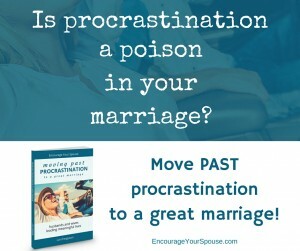 What’s positive about your new spouse? An excellent reminder that we need to always keep in mind that people change and to keep exploring our ‘new’ spouse. My husband and I recently took Jennifer Dukes Lee’s Happiness Dare quiz and discovered that we have the same top two happiness styles. This opened up a whole new conversational gamet for us (and explained why we like the same kind of vacations ;)). Thank you so much for mentioning my posts, Lori. Intimacy struggles aren’t always easy to discuss, but addressing those struggles can have such a positive impact on our marriages.